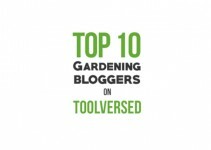 Here at Toolversed we want to share with you 25 amazingly talented woodworking bloggers. As much as we are passionate about reviewing circular saws, arbor presses and hammers they are just as passionate about their craft. These bloggers are creating amazing custom pieces and stunning restorations that are sure to inspire and excite you. Whether it be a custom chair or a whole-house makeover, there is much to be motivated by in their blogs. 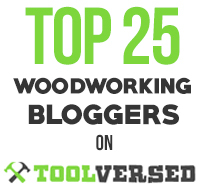 Be sure to check out each and every one of our Top 25 Woodworking Bloggers! Brian creates his uniquely beautiful designs in his small woodworking shop in Bandon, Oregon. His is helped in business by family members as he produces gallery-quality, heirloom furnishings and specializes in seating and sculpted pieces. Each exclusive piece is designed by Brian and is crafted to be a unique and comfortable work of art. His design is very organic and exudes the personality of the wood. His pieces can be found in coastal galleries of the Northwest and custom pieces can be ordered directly from him. He is happy to work with customers and loves the one-on-one experience of working together to create a custom piece to fit their needs. Brian grew up in a neighborhood that was the perfect birthplace for a future woodworker. Three neighbors, including his father, either converted their garages or built woodshops in their backyards. As a young boy, Brian would listen to them “talk shop” which he says was a great learning experience for him. He even loved hanging out with his father watching woodworking shows more than watching Saturday cartoons. Today he builds custom-made furniture pieces and admires the great designers such as Green & Green and Stickley. As a result, he has become very familiar with Shaker and Craftsman style furniture. When he looks back on the pieces he’s built, he remembers them fondly and can still connect to the fun he had building each piece. 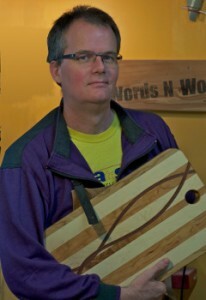 Christopher is a multi-faceted artist who has been working with wood for over 20 years. Over the years his creative practice has evolved and his painting artistry transformed into wood pieces and wood sculpture. His pieces deal with both real and created narratives, and the stories he portrays in the wood are carved from his own life experiences. His works range from sculpture to furniture to pieces that are used for exhibitions and displays. Christopher is also a portrait artist and illustrator and he currently lives and works in Scotland. 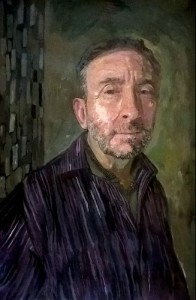 He has exhibited his work throughout the United Kingdom and internationally. Dan graduated from Pennsylvania State University in 1969 with a B.S. in Business, majoring in logistics. He worked briefly at a sales job in Philadelphia before taking off on a two-year travel adventure, working as a bartender, across the United States and Europe. In July of 1971 he found himself in Vermont where he met his wife, Kit, and decided to settle down. In 1974 Dan and Kit built their first home and shop in Arlington, working in their spare time while Dan was working as a carpenter. He started his furniture business full time on New Years Day 1980. He currently serves designers, architects and clients nationwide. His older son Sam does custom metal forging and fabricating in a separate building next to the woodshop, and his younger son Will makes musical instruments in the upstairs of the woodshop under the name Seeders Instruments. Dan shares his many beautiful woodworking pieces from conception to completion through gorgeous pictures and in-depth articles on his blog. Although Wilbur lives in New Jersey, his humorous yet knowledgeable blog is primarily about Japanese woodworking and Japanese woodworking tools. His blog, Giant Cypress, is filled with wonderful posting about the intricacies of Japanese woodworking such as joinery techniques and simple, yet beautiful, design. It is also peppered with Wilbur’s delightful sense of humor and introspective quotes. Head on over to his site to learn about Japanese chisel and plane setup, Japanese saw sharpening, and how to build a Roubo workbench. He feels that fine woodworking is all about the tools. Tarah’s delightful blog is a tribute to her grandparents. She writes as she lives in, renovates and decorates the old farm house that they lived in for over 50 years. Ten years after she lost her grandfather, her grandmother passed on and Tarah couldn’t bear to part with the beautiful furniture and woodwork items her grandparents had made and left behind. Wanting to divert her sadness, she got to work refinishing every piece. Eventually, in 2014, with her future husband Joe, she began the adventure of renovating the farm house itself. Today, Tarah and Joe live in the beautiful old farm house that has sheltered her family for many years. 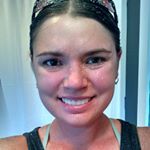 She hopes to inspire her readers with tips, tutorials and before and after photos that show you can do anything you put your mind to! Rob lives in, designs and builds his furniture in Medfield, Massachusetts. He has over 30 years of experience in woodworking and he admires the furniture and work ethic of James Krenov. Rob, like Krenov described, finds a quiet joy from making things of wood and he has a strong desire to make his ideas become real and tangible. His technical expertise is well-known and trusted in the field of woodworking and he is a widely published writer and teacher. His work has been exhibited in premier, juried art shows, fine galleries and national publications. You can also find his articles published on many online sites such as FineWoodworking.com and NWTimber.com. 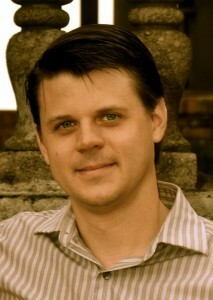 Jason began his woodworking career specializing in historic home remodeling. After years of working as a remodeler, he became interested in more sensitive work and now designs, builds and installs one-of-a-kind, high-quality woodwork. He was able to apprentice in Denver, Colorado with Jeff Newell and was then accepted into the Fine Woodworking program at James Krenov’s school, the College of the Redwoods. He spent two very intense years at the school and during his time there he also enrolled in workshops, shows and competitions. He is now back in Gainesville, Florida where he works with the sensitive eyes and hands of a furniture maker. He is dedicated to buying “Made in the USA” and is also a steward of the environment as he conscientiously runs his workshop using solar panels, Low Voc glues, sky lights and efficient bulbs when necessary. Jon is a professional artist and craftsman who specializes in handmade furniture as well as custom commissioned art pieces. He attended Ramapo State College where he studied welded steel sculpture and life drawing then later attended Parsons School of Design in New York City. In 1994 he started his own art and design company through which he made original, commissioned art pieces as well as furniture. He designed his website based on his 25 years of experience in the business and hopes that you find his knowledge informative, fun and inspiring. 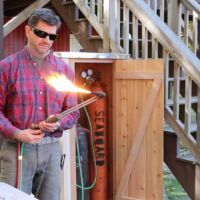 His blog is filled with articles that can help both the DIY weekend warrior as well as the serious artist and art student. In March of 2011, David was looking to have some of his photography professionally framed for an art show. He was surprised at the high cost of custom framing and set out to try to make the frames himself. He bought a miter saw and fervidly began watching woodworking shows and YouTube videos. The rest is history! He fell in love with woodworking and now works full-time creating online content for his blog and designing and teaching the art of woodworking. He lives and teaches in Toledo, Ohio and cherishes that fact that he can incorporate his knowledge of videography and photography in his classes. 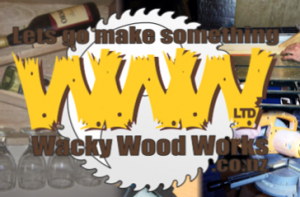 His blog is designed mainly for other woodworkers but he hopes that anyone of like-mind will find something fun and inspirational in his posts. Kristen calls herself a DIY girl with a blog. 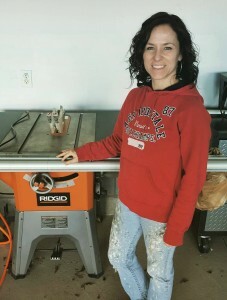 Her blog, Pink Toes and Power Tools, came about when she needed the push to get moving on the projects she had dreamed up for her home. She also enjoys the blog’s side benefit of having her projects documented with before and after photos! All projects on her blog are done completely by her and she feels that if she (a 5’2” woman) can do it, anyone can! She was a seasoned DIYer before tackling woodworking and her first project, a Storage Closet Organizer, gave her to confidence to continue onto building Leaning Wall Shelves. Eventually these projects led her to a complete room remodel for her daughter. Take a look at her wall makeovers and shelving designs which really transform the look of the rooms. Pete runs his blog, website and YouTube channel from his home in Bozeman, Montana. He sees himself as an average do-it-yourselfer and loves sharing his ideas and creations with his followers. 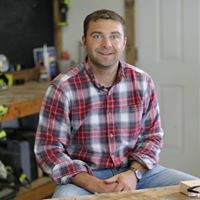 He looks forward to trying new things and has created and documented many projects that are included on his site including the video, How to Build a Farmhouse Table. He builds most his projects out of his two-car garage which poses a challenge when it comes to pulling his vehicle inside! 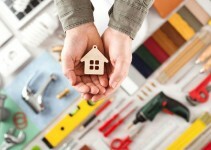 Whether you are a seasoned veteran or a DIY newbie, Pete’s DIY site provides you with top quality tutorials which are sure to inspire you to tackle your next project. 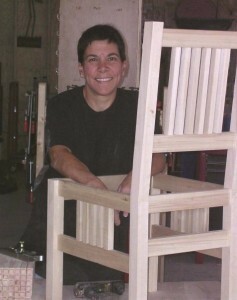 Sandra’s love of woodworking was born out of her final project in Interior Design school. She designed a set of beautiful, built-in cabinets for all four walls of a room in her house. She fell so in love with the design that she wanted it to come to life. Unfortunately, (or, fortunately!) she couldn’t afford to hire a custom cabinet maker so she set out to find a way to do it on her own. With help from her brother, neighbors and friends, she tackled the project, never looked back and never stopped building. 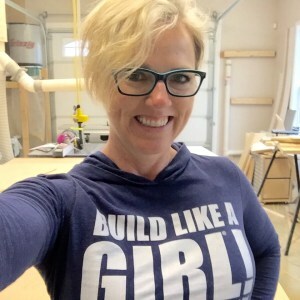 She currently lives in Tennessee with her husband, Wes, and has lived all over the United States over the past 22 years giving her ample opportunity to build and remodel! 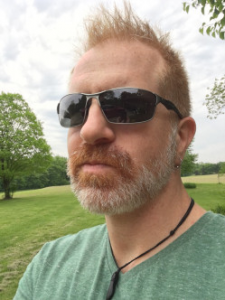 Stu began his blog, Stu’s Shed, as way to help others get past the frustration of discovering the best process through repeated trial and error. He details answers to common problems in a down-to-earth manner that he hopes everyone can relate to. His blog also covers tool reviews and how-to articles. He says he is a tool addict and has as much interest in modern power tools as he does traditional hand tools. 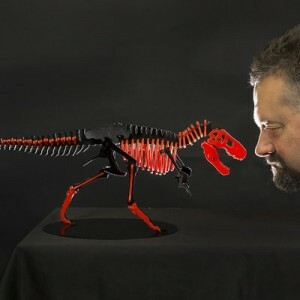 He has a Mechanical Engineering degree from Auckland University and currently runs an Etsy shop called Oz Toymaker. Stuart was born in Australia, raised in New Zealand and is now living back in Australia with his wife and daughter. He welcomes you to his shed and invites you to make some sawdust! When Mike was young, his retired grandfather spent much of his free time tinkering around his backyard wood shop. Mike fondly remembers the times he spent with him there, playing and making simple things. This was the beginning of Mike’s interest in wood. 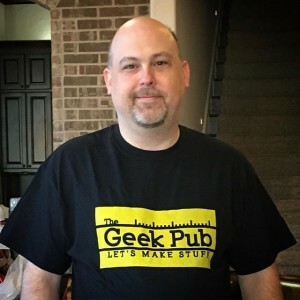 Originally Mike started his blog, The Geek Pub, as an outlet to share how-to articles on computer technology (his full-time job), but eventually yearned for an outlet that wasn’t related to work. 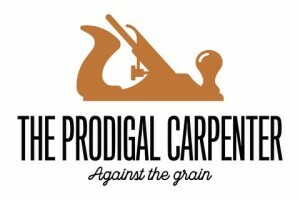 He eventually connected his blog with the hobby that he loves and started creating his own woodworking projects to share with readers. Today, on his blog, you can find Mike’s woodworking projects along with a slew of other interesting projects that he has created. Ethan lives in the St. Louis, Missouri region of the United States and enjoys woodworking, oceans, kilts and photography. He regularly wears a kilt and feels it is freeing, both physically and spiritually, much more so than wearing jeans or suit pants. In fact, he can often be found using saw and plane while wearing one. For him, the freeing, less structured nature that the kilt represents is what he strives to portray in his pieces. His expectation is that his woodworking can become more relaxed and free without the stress of perfection yet still be well made. The Kilted Woodworker, is a collection of his projects and articles that capture his journey as he frees his creative mind…while wearing a kilt. In 1974, Gary found an old wooden hand plane and a chunk of fir outside his SE Portland home. He knew that his current job pouring concrete wasn’t meant to last long so he set off to teach himself how to design and build fine furniture. He had always been interested in the art and science of woodworking and by the late 70s he built a business and was showing his work in galleries both locally and nationwide. His commissions include public furniture pieces which grace the Oregon State Archives and the Oregon State Forest Service headquarters. 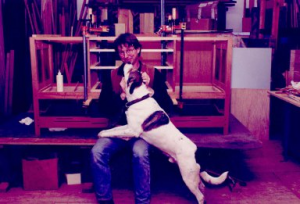 In 1997 he founded the Northwest Woodworking Studio which is committed to teaching tradition-based woodworking classes in the Pacific Northwest. Andy’s path to becoming a dedicated and passionate woodworker was an arduous journey. His career started as an air traffic controller and he was great as his job. However, the stress and long hours took a toll on his personal life and left it in shambles. After hitting rock bottom, he redirected his life, found the Lord and has become a renewed person of faith. His reawakening is the inspiration for the name of his blog as he, too, was a wayward soul who found his way back home. He found that he has a gift for woodworking and a mind for figuring things out. Together with his wife, Desiree, who is an interior designer, he works to bring you a collaboration of uniquely handcrafted wood items and select home décor. They specialize in incorporating reclaimed wood along with other fine hardwoods and therefore are able to give “old” ideas new life. Norman has a passion for creativity and loves to seek out new opportunities for design. In addition to blogging, he is a furniture designer and maker at Pirollo Design in Ontario, Canada and an author of woodworking courses and tutorials through WoodSkills. He holds a woodworking patent and has had articles published in books and magazines such as Fine Woodworking and Woodwork Magazine. His unique form draws from his ability to incorporate contemporary designs with modern elements. You can see some of his designs featured in books and publications such as “500 Cabinets”, “NICHE Magazine”, and “Wood Art Today 2”. 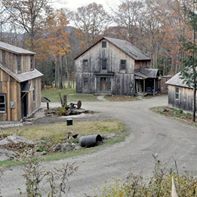 Tico began woodworking in 1980 when he embarked on the adventure of building his own home in Northumberland, New York. At the time, woodworking tools, techniques and materials were all new to him. Many thousands of hours later his home stood ready to inhabit and he had a whole new set of skills. In the ensuing years, a group of people in the Saratoga Springs community decided that if he could build a house then he could perhaps build a bookcase, cabinet or table. Tico took on the challenge and today has established himself as a fine woodworking craftsman. He has made custom furniture and cabinetry for private homes, corporate art collections, museums and executive offices. 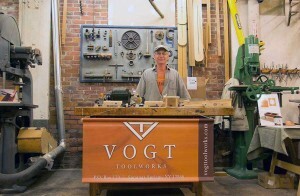 His latest adventure is the business he’s built making high quality jigs for woodworkers. Nighthawk lives in Dunedin, New Zealand and considers himself a novice woodworker. He is inspired by the woodworking blogs he reads and hopes to pass on that inspiration by sharing with his readers the projects that he undertakes. He hopes that you, too, will be inspired to try a new project and make something of your own after watching him do the same. His projects can be unconventional and his techniques a bit different at times but his goal is to show that there are many paths to a unique, final project that you can call your own. 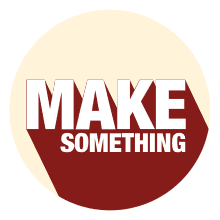 His postings include instructions for projects that range from fun and whimsical to necessary home improvements. He looks forward to you joining in on the fun! 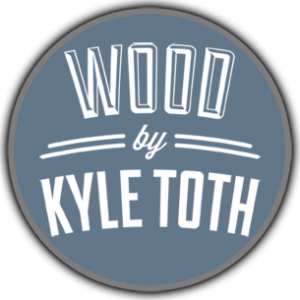 Kyle’s love of woodworking began at the young age of 12 when he was inspired to create anything and everything from wood. His interests became more serious around the age of 16 when he began filling his parents’ garage with higher end tools. He even designed and carried a wooden backpack to school as a high school student. He was one of twelve students chosen to attend the Cabinet and Furniture program in Boston Massachusetts and he finished his degree there in 2011. Kyle has played an integral role in branding Refuge Brewery and has worked with Jelly Skateboards, Disneyland and Metallica. He currently lives in Southern California where he skillfully creates his fine and intricate pieces. Jamie Ann has been designing and building furniture since 1980. Over the years, her style changed and her skills grew but her philosophy remained the same, build simple, sturdy furniture that people aren’t afraid to use. She feels that delicate furniture seems counterproductive and that people should be able to coexist, live with and USE their furniture. Her biggest influence over the years was James Krenov’s trilogy of woodworking books that taught her about wood grain and pattern management. She began to see wood as a color palate and feels that furniture can be dedicated to a single goal such as housing a violin or displaying a vase. She continues to use that “sacred space” concept in her work today. Eric is a young woodworker who was inspired at an early age by videography. He discovered, at the age of 12, that he enjoyed making casual videos and posting them to an early YouTube channel that he ran. After a year of postings, he discovered woodworking and it was a match made in heaven! He taught himself basic woodworking techniques and bought his own tools by working as an umpire during the summers between school. He currently tries to complete one project a week to post to his Woodworking Nut YouTube channel. For anyone else who wishes to start a woodworking hobby, he recommends a good table saw as their first tool. 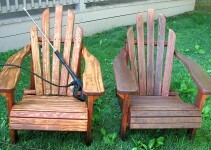 Art has been woodworking as a hobby since 1995 and has been writing online about his hobby since nearly the beginning. His blog, Words N Wood, is a collection of his articles and instructions showing various woodworking projects and other related writings. In addition to his blog postings, he uploads accompanying YouTube videos so that his readers can choose to either read or watch a project’s directions. Both woodworking and writing are his hobbies which is why he chose to name his blog Words N Wood. 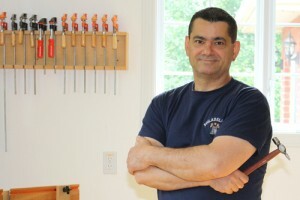 He has written articles for Canadian Home Workshop, Lee Valley Tools and for TheWoodworkersNews.com. Quite simply, he likes to build things and write about them!